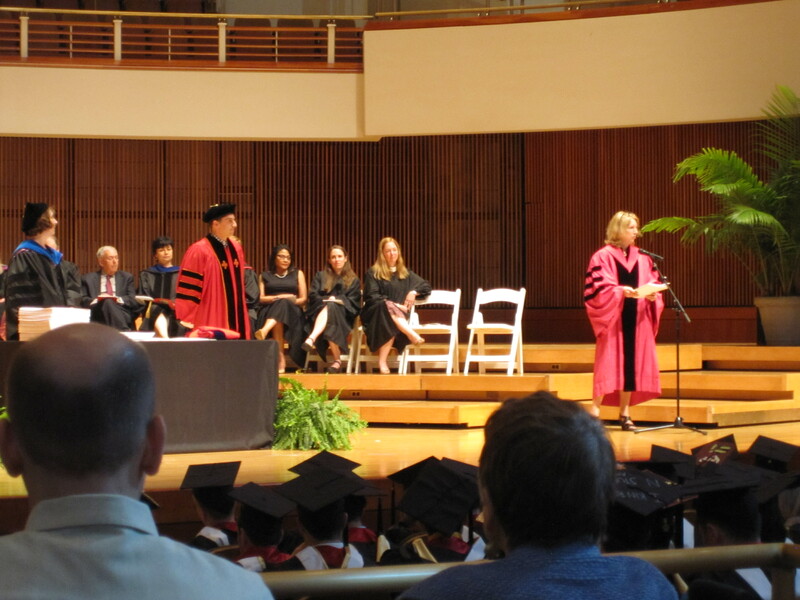 As one of two graduating doctoral students, I was honored to address Philip Merrill College of Journalism graduates and their families at the 2014 Commencement ceremony on May 22. As I noted during my speech, I had the pleasure of teaching 22 undergraduates (including Nick Munson, pictured below) earning their degrees and working with many of the Merrill College faculty I shared the stage with at the ceremony. 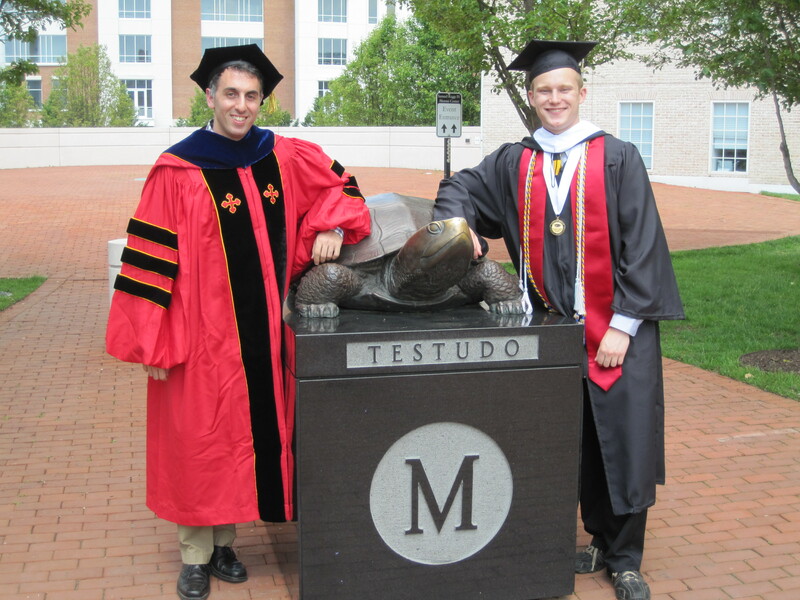 Special thanks to Dr. Moeller (pictured below on right) for the very kind introduction during the ceremony. 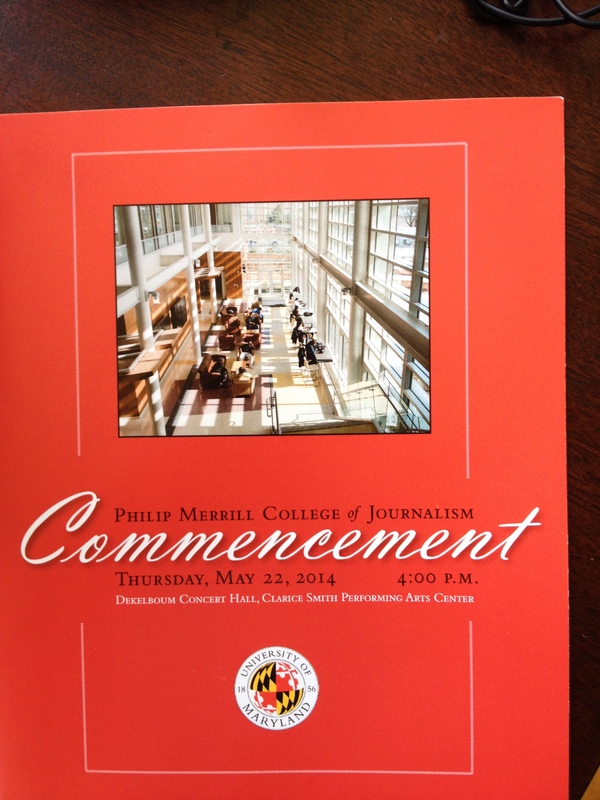 It’s been a great four years at the University of Maryland. Go Terps.